Inkscape will be the vector editor that we do the majority of our work in, once we have learned the fundamentals here, we will move on to trying the same concepts out in Adobe Illustrator, which is the other major vector graphics editor on the market. 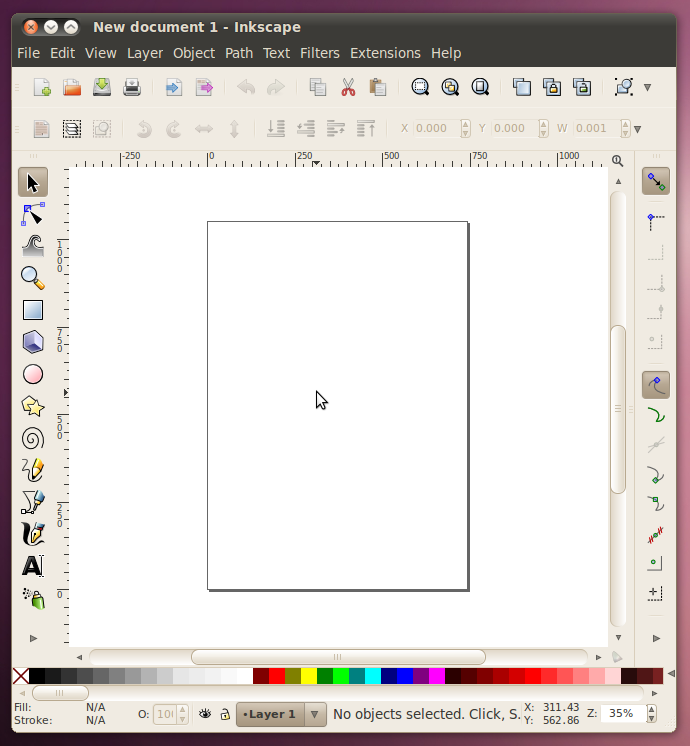 If you don't have Inkscape on your computer, you can get it from our software downloads page. To start with Inkscape, there are three interactive tutorials that are built in to the program that are very good, and because they are interactive, they are better than just words on paper, so instead of reading what they have to tell you here, lets open up Inkscape and give them a try. Go to the menu Help -> Tutorials -> Inkscape: Basics. That will open in a new window and you can read all about (and try out!) panning, zooming, the tools, documents, moving, scaling, rotating, important keys, selections, fills, strokes, duplication, layers, and depth. Now that we have a grasp on the basics, lets go do an example. I have prepared a .svg file that can be opened in Inkscape with all the material that we'll need. 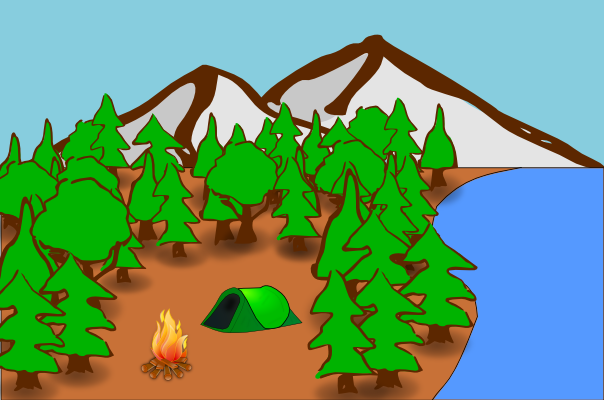 In this one SVG file there is a background all setup (made up of two parts: the foreground with all the trees, ground, and water; and the background with the sky). There are also three different components that need to be added in. 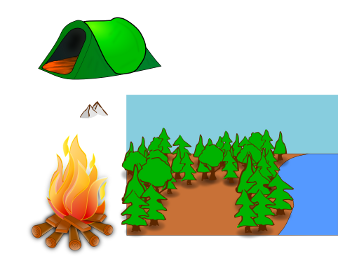 The fire and tent need to be scaled down and put in the empty area between the trees. The mountains need to be scaled up and be put behind the ground and trees but in front of the sky. Here's what the finished result will look like. 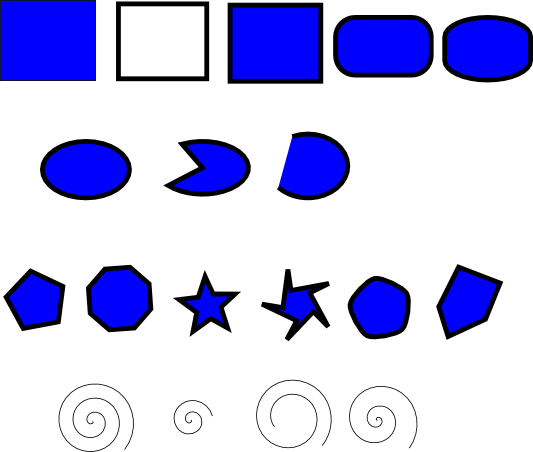 Rectangles (with rounding), ellipses and circles, stars and polygons, and spirals. Now lets go and try out all the shape tools and many of their different options. 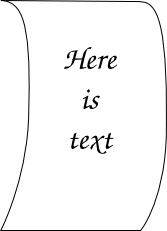 In one Inkscape page, draw the following. Rectangle: Filled with no stroke, stroke with no fill, fill and stroke, rounded corners, rounded corners and edges. Polygon/Star: Polygon, polygon with different number of sides, star, star with offset points, polygon with rounded corners, polygon with randomizer. Spiral: Spiral, spiral with less turns, spiral that doesn't start from the middle, spiral with faster divergence. 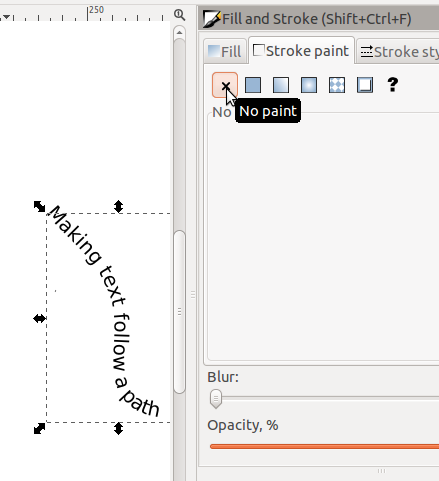 Use only the basic shapes (and various fill/stroke colors) to create an image of abstract art. Use the star tool to create a unique pattern. 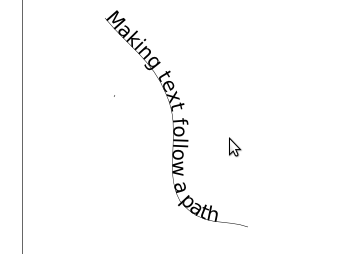 Cutting and pasting, free hand drawing, bezier curves, paths and text. First, download the .svg file of the starting rectangle. You'll notice that there are a couple of handy nodes about half way down the sides of the rectangle. Let's go ahead and pull both of those nodes to the right (using the node-editing mode). 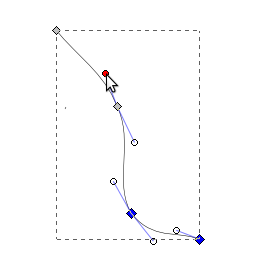 Once we've got them out there, we will add some bezier curves into the strait lines. To do this, hold down shift as you click on one of the nodes, and drag out from it. That should create a handle for the curve coming out of that point. Go ahead and do that for both sides of the middle points, and then also to the lines coming down from the two top points. Once we've got the paper gently curling, lets add some example text. To do that, we'll switch to the text tool. Then click near the center of the paper and type whatever text you want to see. You can change the font size, centering, and font to make it look any way you like. 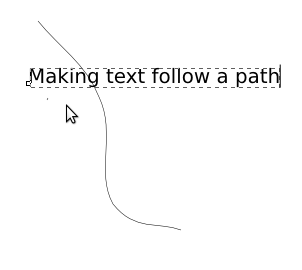 Now that we've got those basics down, lets use the path tool to make text follow an irregular path through our drawing. 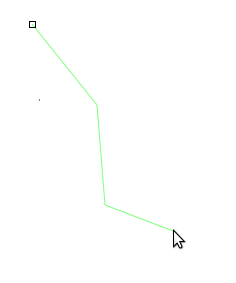 We'll start out by making a simple path with the Bezier Curve Tool. Once we've got the basic shape in, we'll manipulate the curve's handles to smooth it out. Then we'll switch to the text tool and type in some text. 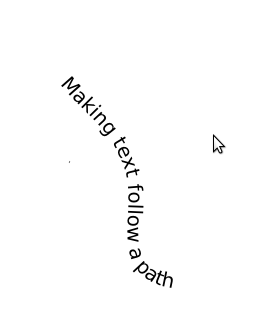 Now we'll select both the path and the text. With them selected, we'll click Text -> Put on Path. Looking good so far, now we just need to get rid of that line that we have in there. 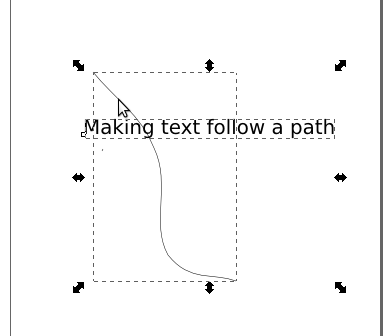 To do that lets select the line and remove its stroke. Then finally we're left with just our text.